MONTREAL, Dec. 2, 2015 /CNW Telbec/ - The Shortest Day returns for a third year across the country from December 18 to 21, 2015, with an outstanding program of new, classic and award-winning shorts by some of Canada's most talented filmmakers. This year's free event—a fun way for families and movie-lovers to celebrate the lead-up to the winter solstice on December 21, the shortest day of the year, and usher in the holiday season—features 28 shorts organized into four thematic programs: Kids (under 8, 61 minutes), Family (56 minutes), Musical (16+, 74 minutes) and Dramas and Comedies (16+, 91 minutes). One of this year's highlights is Song for Cuba (Musical program) from director Tamara Segura. This short experimental documentary about memory and music follows a young Cuban couple charting a new course for their lives on an island in the North Atlantic. The film features the original music of Newfoundland trumpeter Patrick Boyle as well as songs by Benny Moré and Ignacio Piñeiro. "There's something really powerful about short films and their cultural richness," said Segura. "They not only experiment with varied forms of storytelling, but they're also made by a highly diverse group of people. The Shortest Day is a unique opportunity to connect with your community and with all kind of stories from across Canada. Being part of this year's event is one of the most rewarding things that has happened to me as a newcomer and as a filmmaker." 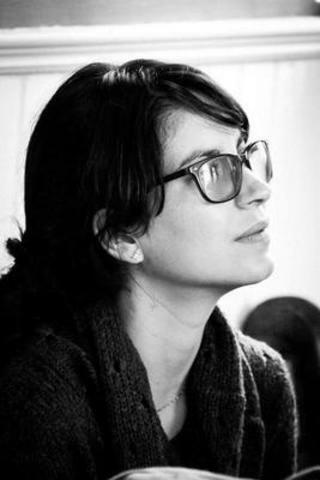 Tamara Segura graduated with honours in Film Direction from the Higher Art Institute of Havana. She later specialized in screenwriting at the International Film and Television School of San Antonio de Los Baños, an acclaimed institution founded by Nobel laureate Gabriel García Márquez. Segura's films have taken home prizes in Spain, Cuba, Canada and Mexico. Currently, Tamara is based in Newfoundland, where she won the 2013 RBC Michelle Jackson Emerging Filmmaker Award. Her second Canadian short film, Song for Cuba, was produced by the National Film Board of Canada and is currently making the rounds at a number of festivals. The free screenings, which spotlight animated and live-action shorts, will be held in more than 80 venues across the country. Screenings will be held not just in movie theatres but in cultural centres, community spaces, schools, coffee shops, shopping malls, hospitals and public libraries, making the event accessible to as many cinemagoers as possible. In Atlantic Canada, Shortest Day programs will be screened, notably, at the Halifax Central Library; the Al Whittle Theatre in Wolfville, Nova Scotia; the New Brunswick Filmmakers' Co-operative in Fredericton; the City Cinema in Charlottetown; Fogo Island Film House, Newfoundland; and the Newfoundland Independent Film Co-operative in St. John's. The Shortest Day was started in 2011 by France's Centre national du cinéma et de l'image animée (CNC). Presented in more than 50 countries, the event is sponsored in Canada by the National Film Board of Canada (NFB), Société de développement des entreprises culturelles du Québec (SODEC) and Telefilm Canada. The microsite (www.theshortestday.ca) includes the campaign trailer, as well as lists the films in the each of the programs, along with their synopses and screening details at venues across the country. You can also get real-time Twitter updates on the event via the hashtag #ShortestDay. The Shortest Day is made possible in part through the financial support of the Talent Fund. The National Film Board of Canada (NFB) it's 75 years of innovation and leadership in social-issue documentaries, auteur animation, and most recently, groundbreaking interactive works. The NFB has produced over 13,000 productions and won over 5,000 awards, including 10 Webbys, 9 Canadian Screen Awards, 12 Oscars and more than 90 Genies. To access acclaimed NFB content, visit NFB.ca or download its apps for smartphones, tablets and connected TV. SODEC is a government corporation overseen by Quebec's Minister of Culture and Communications. It supports the creation and growth of cultural enterprises throughout the province. SODEC brings together the passion of artistic creation with the power of economic development and provides cultural enterprises with a range of solutions designed to nurture Quebec creators and promote the production, distribution and exportation of their work. Follow SODEC on Facebook, Twitter and visit www.sodec.gouv.qc.ca.